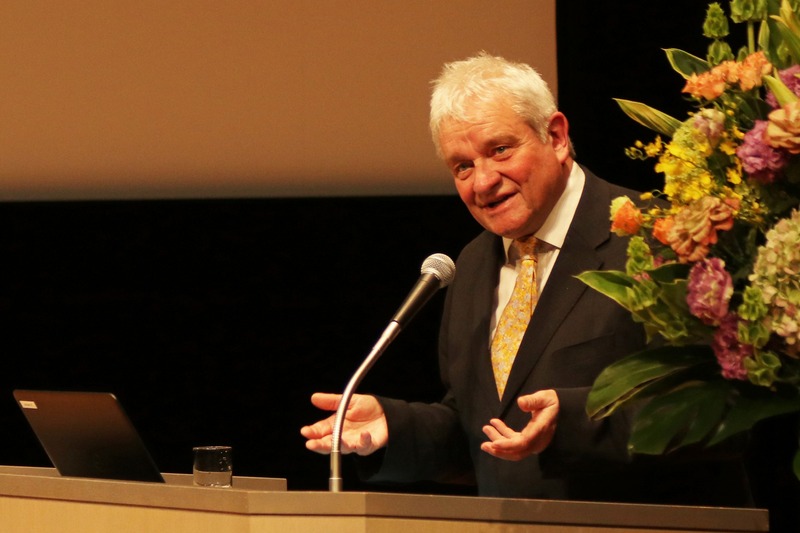 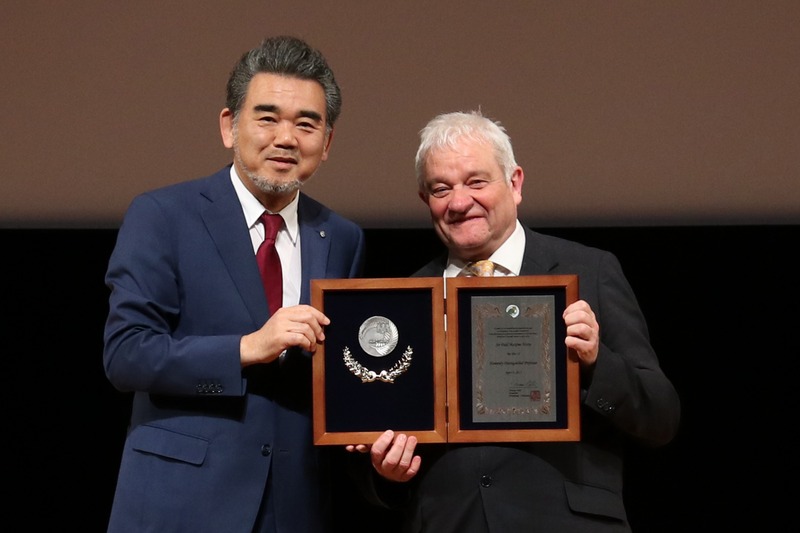 Our special adviser and Nobel Prize laureate, Sir Paul Nurse visited Hiroshima University on 4th and 5th April. 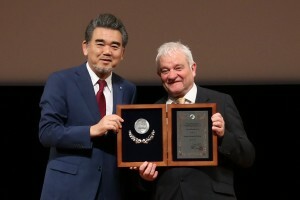 Sir Paul is currently the director and CEO of the Francis Crick Institute, in which Professor Takashi Toda used to run a research group until 2015. 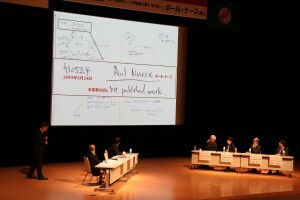 Two events have successfully been completed with Sir Paul. 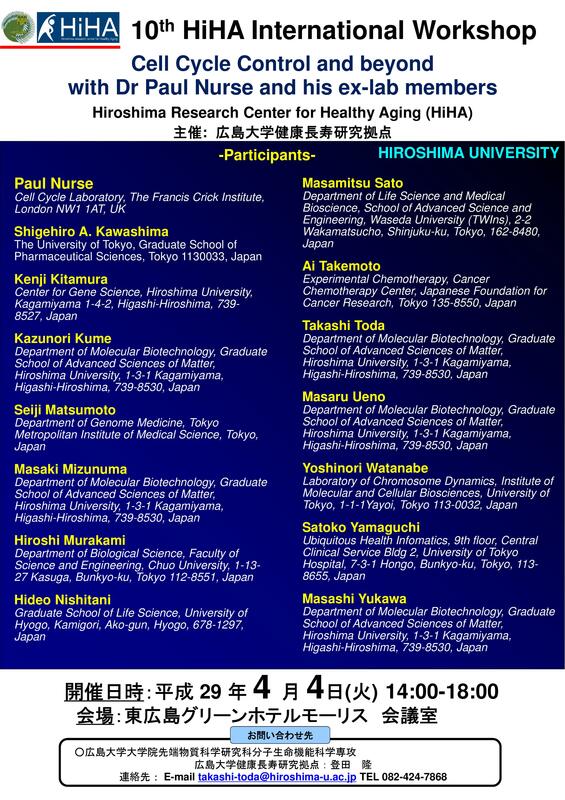 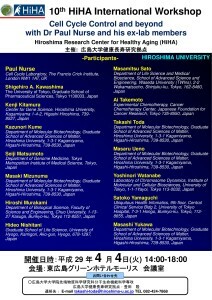 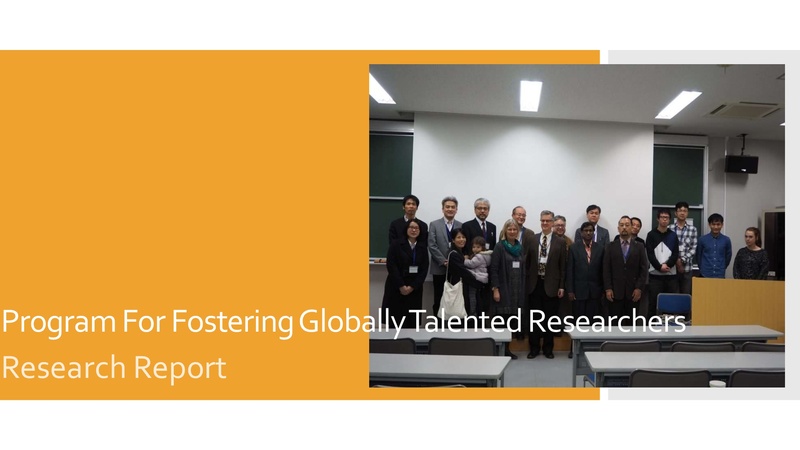 On 4th, 10th HiHA international workshop “Cell Cycle Control and Beyond” was held. 14 scientists (including 6 from HiHA members), who used to work with Sir Paul or Dr Toda in the UK institute gathered from across Japan. 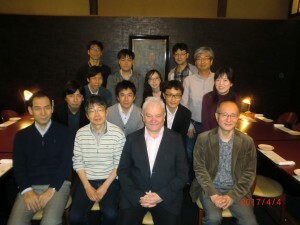 The photo was taken in a banquet after the workshop. On 5th, Sir Paul gave a special lecture in Stake Memorial Hall. 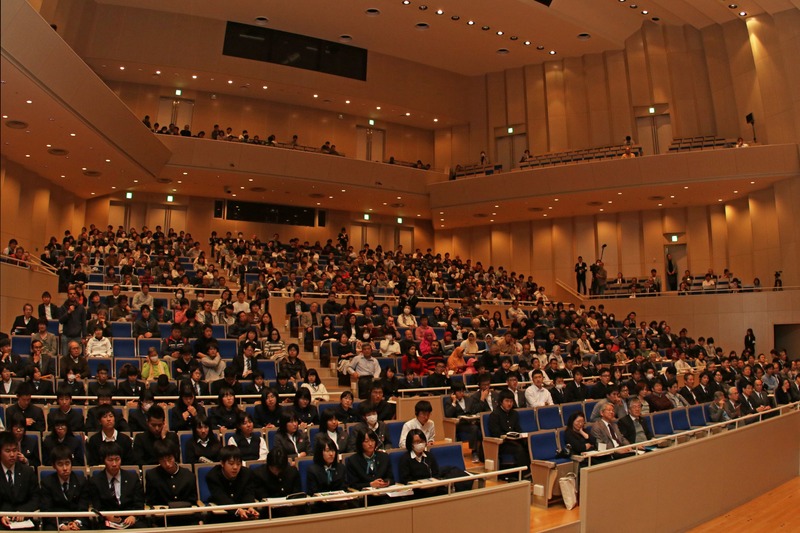 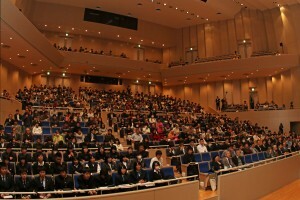 More than 600 audience attended the lecture. 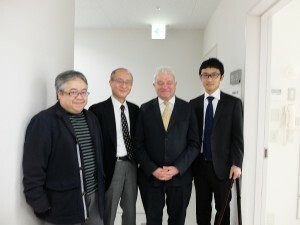 The panel discussion was then done. 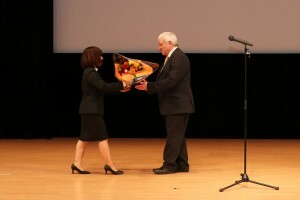 Sir Paul was awarded special honorary professorship of Hiroshima University from President Ochi.